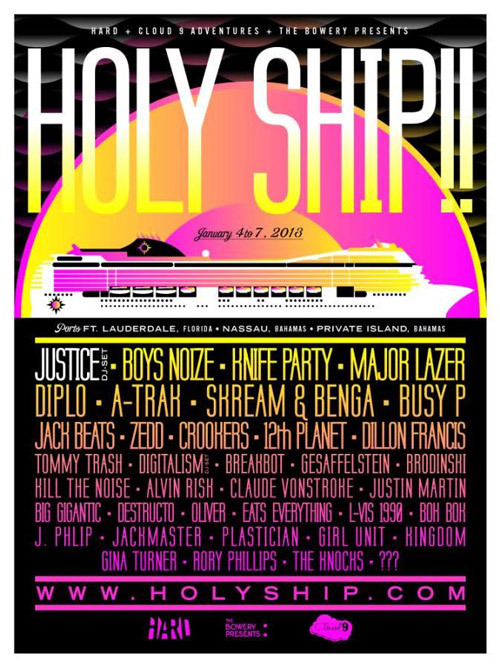 Hard music festival presents the electronic dance music cruise Holy Ship! The cruise departs Lauderdale on January 4 before cruising through the Bahamas, stopping at Nassau on day two and Private Island on day three, then returning to Lauderdale on the 7th. Activities, workshops and excursions are offered during the day before the party kicks off at 6pm across five onboard venues with performances from world class DJ’s until 6am. 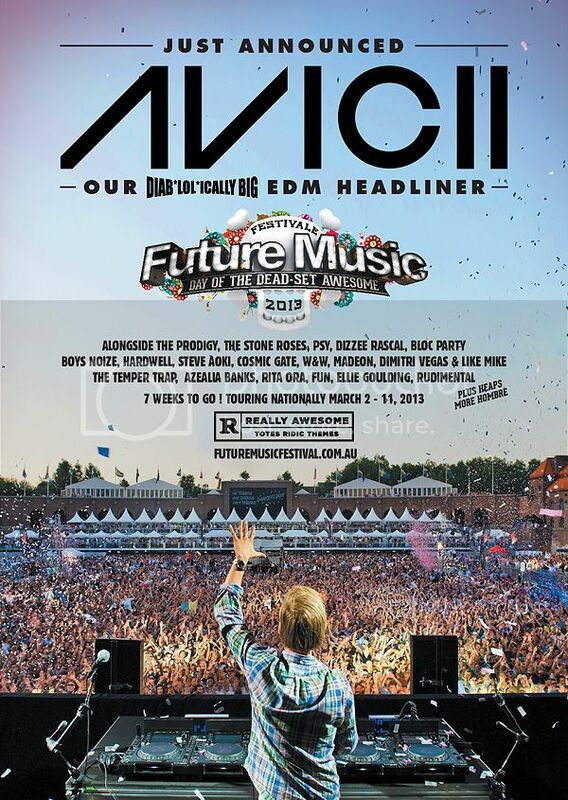 The line up for 2013 boasts Justice, Boys Noize, Knife Party, Major Lazer, Diplo, A-Trak, Skream & Benga, Busy P, Zedd, Tommy Trash, Kill the Noise, plus many more!! For those fortunate enough to have tickets to this sold out event, it will be a huge way to start the new year! !